The current study tested a non-linear model of religious coping among Black patients with Sickle Cell Disease (SCD). We predicted that moderate prayer and church attendance would be associated with less severe affective and sensory ratings of pain, lower levels of psychopathology, and less frequent care utilization. The participants were 67 SCD patients, mean age 36.82 ± 11.47 (range 18–70) of which 45% were men. Using ANOVA procedures, our results indicated a main effect for the frequency of prayer which showed significant differences for anxiety and hostility. Post-hoc t tests revealed that participants who endorsed moderate frequency of prayer reported significantly less anxiety and hostility, relative to participants who reported high or low frequency of prayer. However, participants who endorsed moderate levels of prayer also reported a significantly higher frequency of visits to the emergency department, relative to participants who reported high or low frequency of prayer. However, reports of pain and psychopathology were more linear with participants who reported the highest frequency of church attendance having the highest reports, moderate among those with moderate frequency of church attendance, and lowest among those with infrequent church attendance. These findings challenge and extend the traditional linear conceptualization of religious coping on clinical outcomes among patients with SCD. Directions for future research are discussed. How often do you attend church or other religious meetings? How often do you spend time in private religious activities such as prayer, meditation, or Bible study? McDougald, C., Edwards, C. L., Wood, M., Wellington, C., Feliu, M., O’Garo, K., et al. (2008) Coping as predictor of psychiatric functioning and pain in patients with sickle cell disease (SCD). 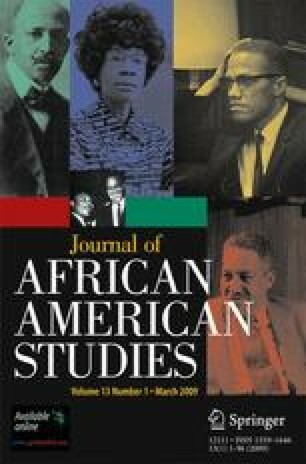 Journal of African American Studies (in press). doi: 10.1007/s12111-9051-8.